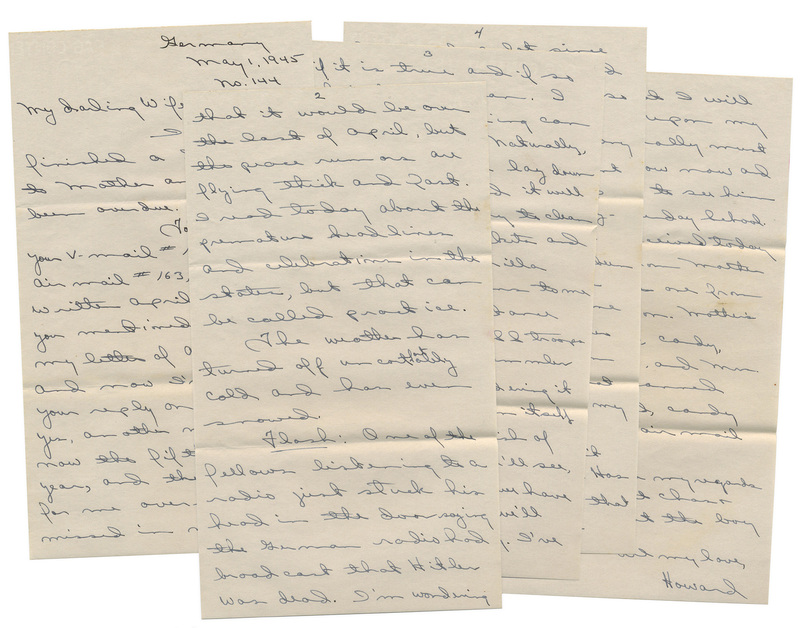 Have you selected Marcel’s Letters for your Book Club? Use this list of questions to frame a lively discussion about the book. Or, you know, you can pretend to discuss the book and just drink wine. I know how some Book Clubs roll. I won’t judge. Do you want me to join you? Drop me an email at carolyn (at) porterfolioinc.com and we can arrange a virtual meeting via Google Hangouts. I received a shipment of eight books from the publisher. All but one of those books will be mailed to members of the Heuzé family in France. I was rooting around some old papers, looking for something else entirely, and found this gem of a writing sample from third grade. 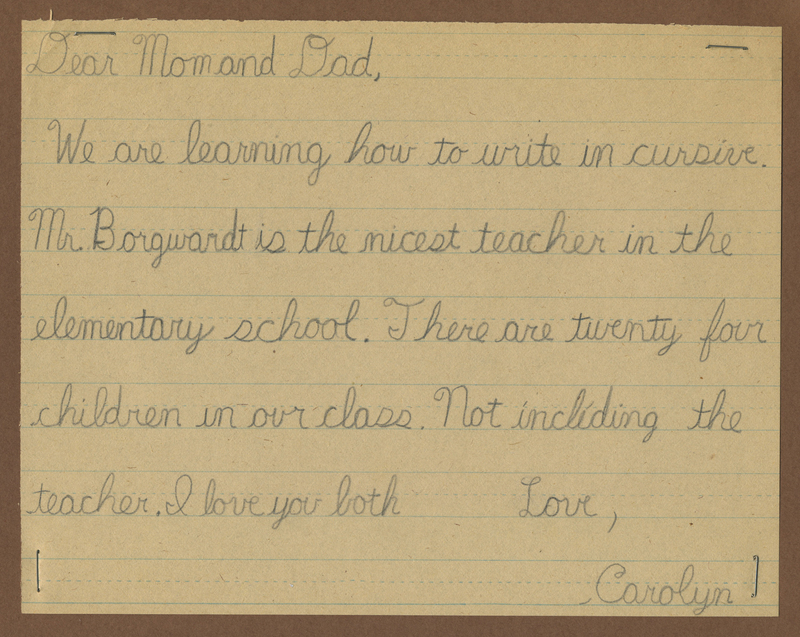 Marcel’s Letters deftly portrays how a curiosity can grow into a search, and the search into an obsession. Carolyn’s story bursts with the excitement of discovery and culminates with the indescribable honor of returning fragments of a forgotten history to the people they were meant for. 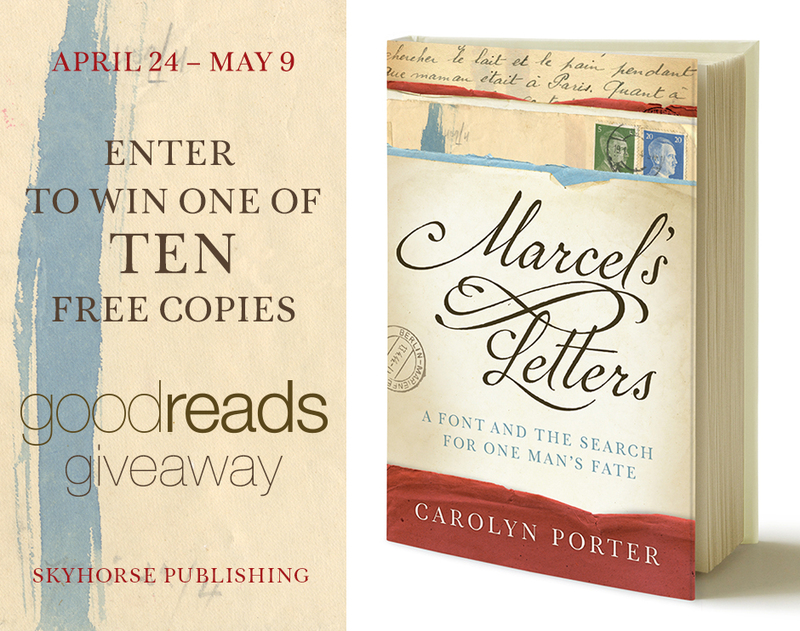 Between now and May 9 you can sign up to win one of ten free copies of Marcel’s Letters! Go to the book’s page on Goodreads, scroll down to “Enter Giveaway” and follow the prompts. Good luck! Thanks to Skyhorse Publishers for sponsoring this giveaway! 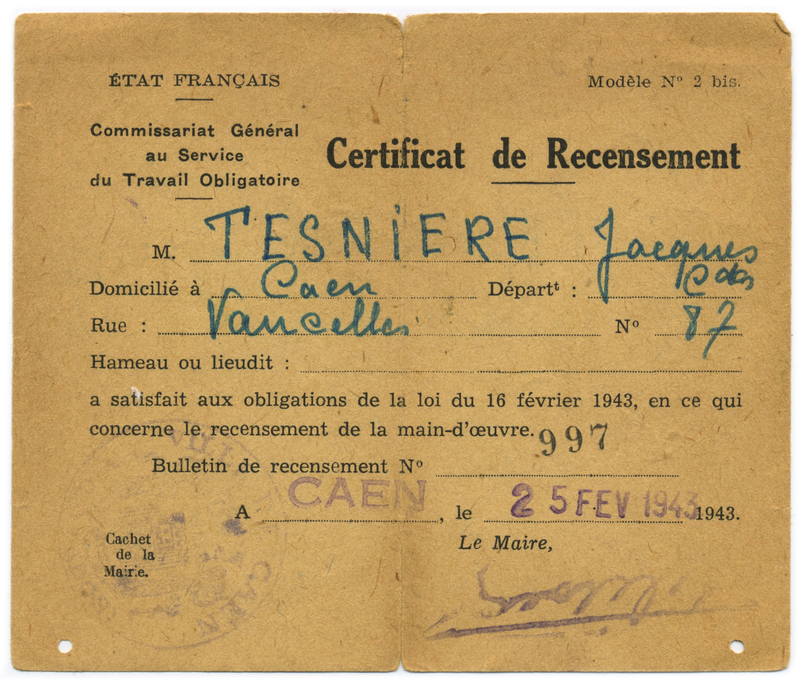 Marcel’s Letters is a gripping page-turner about one type designer’s efforts to uncover (and recover) the destiny of a French forced laborer during World War II. 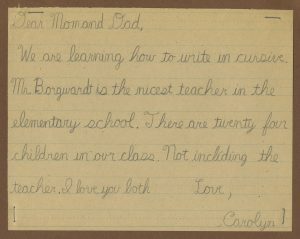 Fascinated by the handwriting, Carolyn Porter’s chance purchase of a few letters led her to a remarkable adventure in font design, research to understand the wartime separation of a father from his wife and children, and a quest to uncover Marcel’s fate in the Second World War and that of his family. 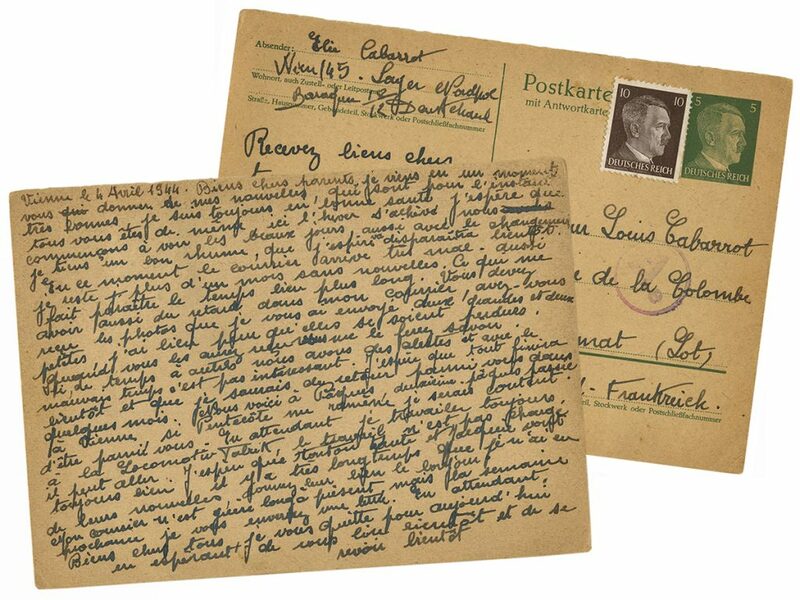 Marcel's Letters tells a compelling story of romance, perseverance, and discovery. I come for a moment to give you some news from me which are very good for now. I am still in good health. I hope it is the same for you. Recently I was interviewed by book development editor Jill Swenson. It was a delightful interview with questions about music and typography and legal issues. You can check it out here.